Hi everyone! Hope your Monday is sunny and bright! I'm kicking off a new series that I'll be sharing from time to time on Mondays. I've been super original in coming up with the name, too :) Here it goes! I know it's not everyone's favorite day, so I'm hoping a little crafty fave share will brighten those start-of-week blues! I'll be popping in with a review of my favorites - new and old - from paper to stamps to inks to possibly items beyond the crafty world! This post will be influenced by new finds, current trending items on my desk, and products I just can't seem to put down. 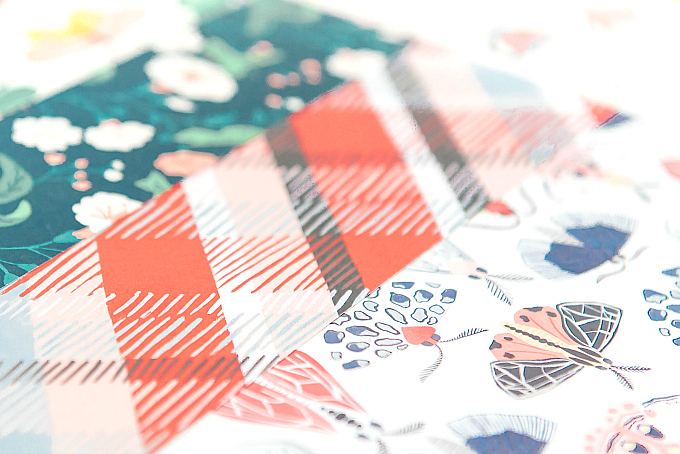 For my first Monday Favorites post, I'm sharing a roundup of my absolute favorite paper patterns! These beauties have been adorning my craft space for the last couple of weeks. 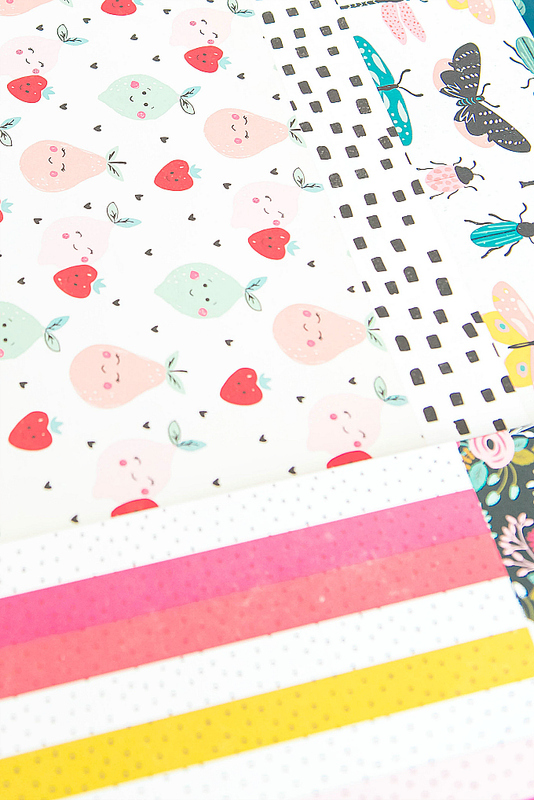 Some are older picks and others newer picks, but I love how they pair together and the oodles of possibilities with these colorful fun designs! In each Monday Favorites feature, I'll also be either sharing a project made with the items of the day, or linking to an older post so that you can grab some fun ideas while you're browsing. Okay, no more time for talkey, let's just dive in! Ahhh Pink Paislee. You always have my heart. Current old favorite: Turn the Page. Still loooooving this collection and how it pairs up with the new. 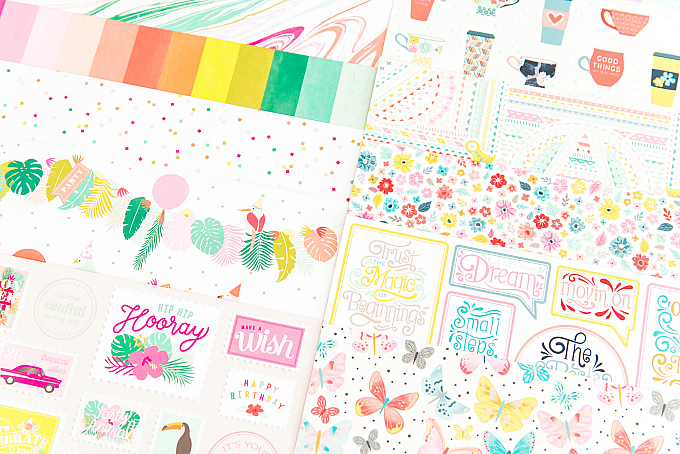 Current new favorite: Confetti Wishes. I didn''t love it online, but when I saw it in person, I squealed! It is soooo pretty and colorful! And the parrots. OMG! 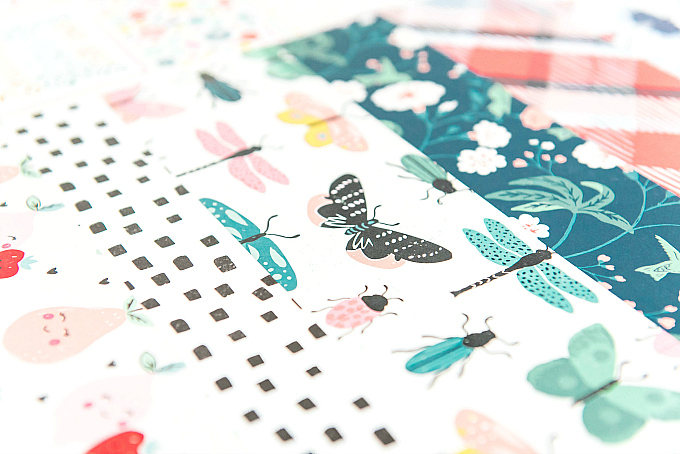 Never thought I would say this, but I'm loving these buggy papers. I am the first to run away and hide when a moth or anything resembling one, is in the vicinity, but I sure don't mind being in the company of these. Wish they were this colorful IRL - maybe they would be a little less scary? 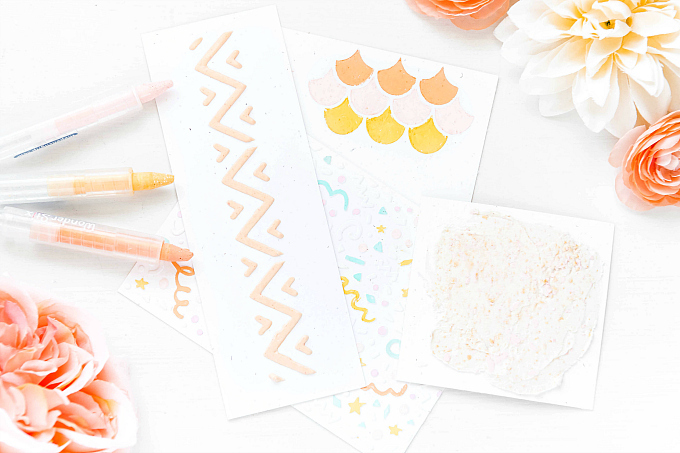 Sneaking in a puffy sticker set too from Pink Paislee's Confetti Wishes. Here's a post with a pile of cards using this pretty collection. 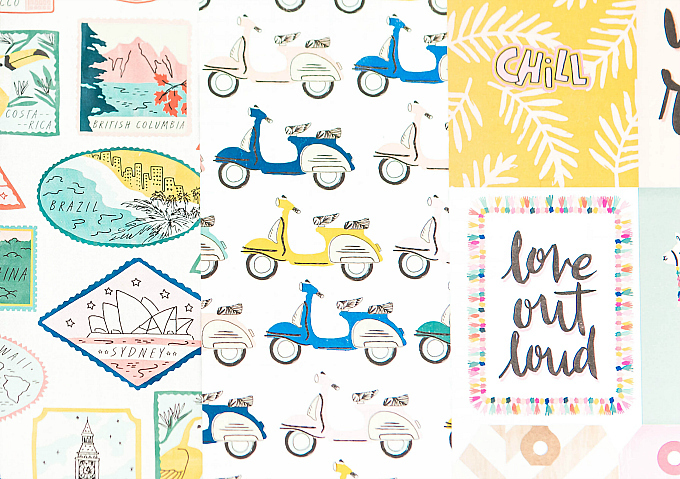 And a couple of honorable mentions go to the cutest travel collection! Last but not least, I'm really loving this die-cut pack from 1canoe2. Soo many goodies inside. These beauties have been getting lots of attention around here. I'd love to know, do you have a favorite!? Think you might like more Monday Favorites? Thanks for joining me and hope your Monday is a little brighter! To all my friends South of the border, I hope your Memorial Day is filled with family time and spent remembering loved ones lost. Hi Ivana, I'm trying to catch up a little. We have a big reno going on and my blogging has taken a backseat! I took a stroll back through everything I've missed. It's all as frilly, feminine, and as lovely as ever. 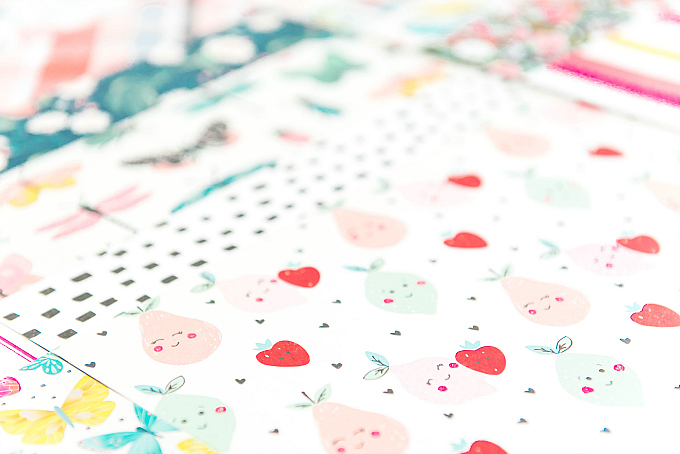 You do have a way with layering just the right bits and pieces together to create an amazing little work art! Lisa, I sure hope the renos are going well! I've been keeping a close eye on your blog - I can't wait to see the reveal when it's all done! Thank you sooo much for all of your love, and for taking time to visit even when things are crazy! You are much, much to sweet, my dear friend! Fun series, Ivana! I'm so not trendy/modern, but love seeing your work that is! 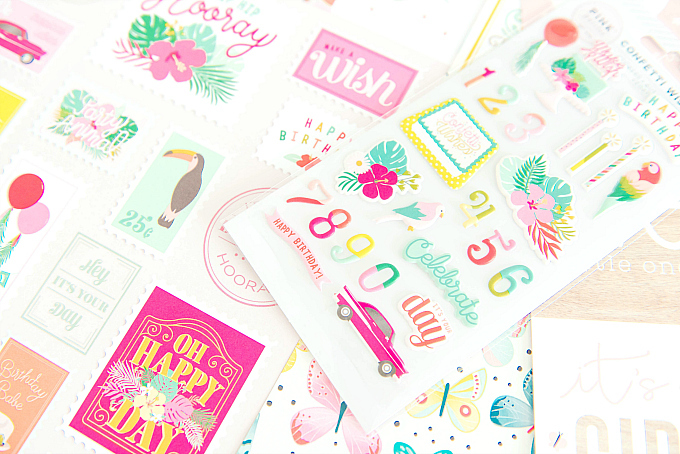 Greta - I love your cards and I find them super on-spot! I totally hear ya though - I'm trying my hand at more trendy looks lately - and a bit more away from shabby styles - so it's been fun playing with different things and sharing them here! Thank you so much for your support, sweet friend! Hi Ivana, I received your lovely card - it is a dream to have one of your beautiful cards! and the prize - I love the tiny sparkles!! Giorgia, so glad it arrived safely! Biggest congrats on the Pinkfresh win!! Loved your gorgeous entry! Sending hugs!